Fashion student Anais Bordier was studying in London when something happened that shook her world upside down, making international headlines. It was a normal day in December 2012, when Anais came back from school to find her friend in her bedroom with her laptop open looking very serious. As she got closer, she saw her friend looking at a mysterious video of her. 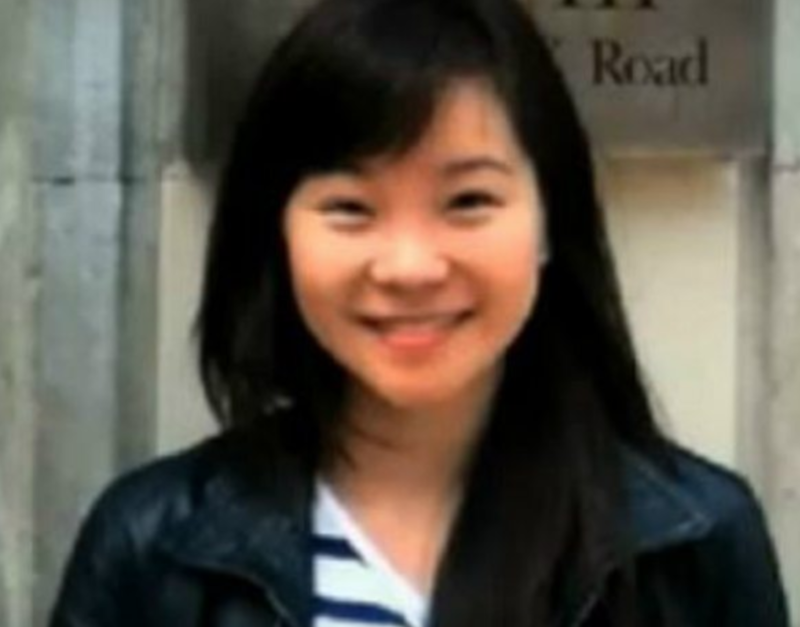 ‘Who posted a video of me on YouTube?” she recalled of the puzzling moment. Thoughts were racing through her head about all of the possible answers. The thing that she couldn’t stop thinking about, though, was the fact that she had never made a YouTube video. At first, she thought it could be a case of identity theft. Why had someone made a video of her? The aspiring fashion designer couldn’t stop staring at the image and couldn’t figure out what to make of it. With social media and the virtual realm gaining more of a central role in everyday lives people were becoming all the more wary of Internet scams and malicious web activity. But as Anais took a closer look at the video, she realized something shocking. “You know how often your friends tell you that you look like someone, I thought maybe in the eyes or something like that,” Anais Bordier said looking back. But as Anais further inspected the video, it appeared the face, freckles and hair all seemed to be identical to hers. She watched the video over and over again, staring at the perplexing image staring back at her. 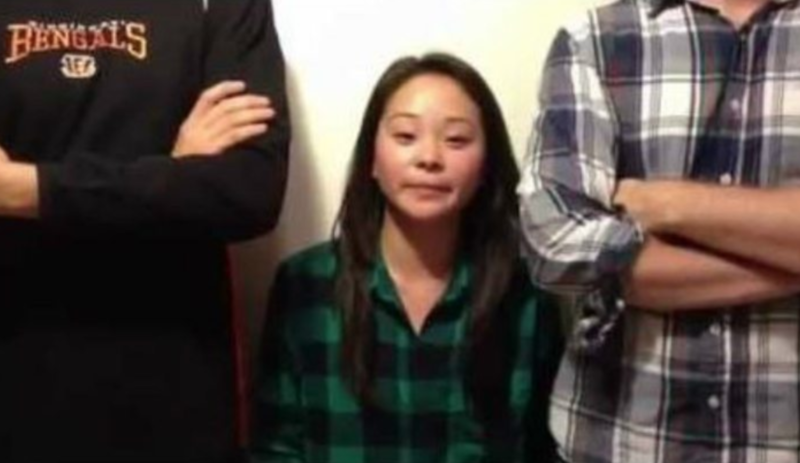 After endlessly pouring over the video, however, she eventually realized that it was in fact not her image at all. The video that Anais Bordier had been tagged in turned out to be an American sketch comedy production. And as it happened, one of the actresses had an uncanny resemblance to her. This led Bordier to launch a curious search into the young woman in the video. Apart from the fact that the woman had an American accent, Anais couldn’t find any more information about her. She searched desperately but to no avail, there were no credits or other information that could offer an answer. A few months later, however, a miraculous find would lead to an astonishing discovery. In February 2013, the same friend who had sent Anais Bordier the first video with her lookalike messaged her with some good news. He’d found another video featuring the same young woman! Bordier could hardly wait to check it out. “I’ve seen that girl again,” he messaged Bordier with a link to the new video. The new video was a college campus comedy called 21 & Over. This time as Anais looked into the movie, things would be different. 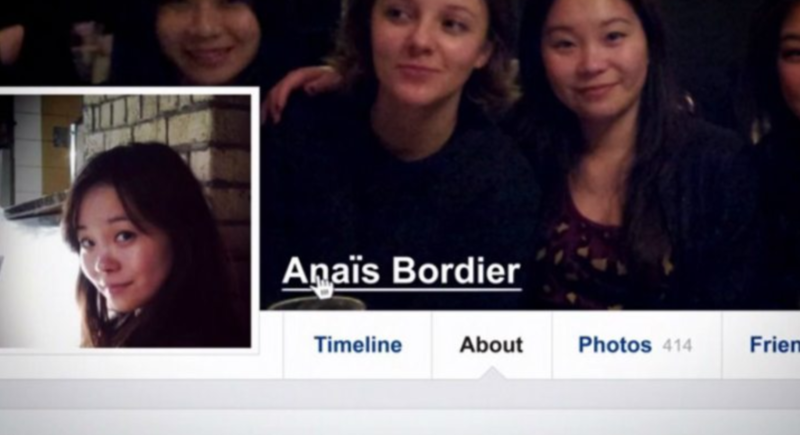 Anais Bordier was sitting on a bus at the time that she received the message. She immediately searched the film’s IMDB page and found out that her mysterious doppelganger was a Los Angeles-based actress named Samantha Futerman. Futerman’s credit included the part of Satsu in Memoirs of a Geisha along with some short films and TV show appearances. But it was another part of her personal information that made Bordier immediately get off the bus and call her mother. As Anais scoured over Samantha Futerman’s online bio, she was shocked to find that they shared the same birthday – November 19, 1987. Also, like her, Anais realized that Samantha had also been born in Busan, Korea and put up for adoption. All of these similarities again had her mind racing. Anais had been adopted as a baby and raised as an only child by her parents in Paris and Brussels. 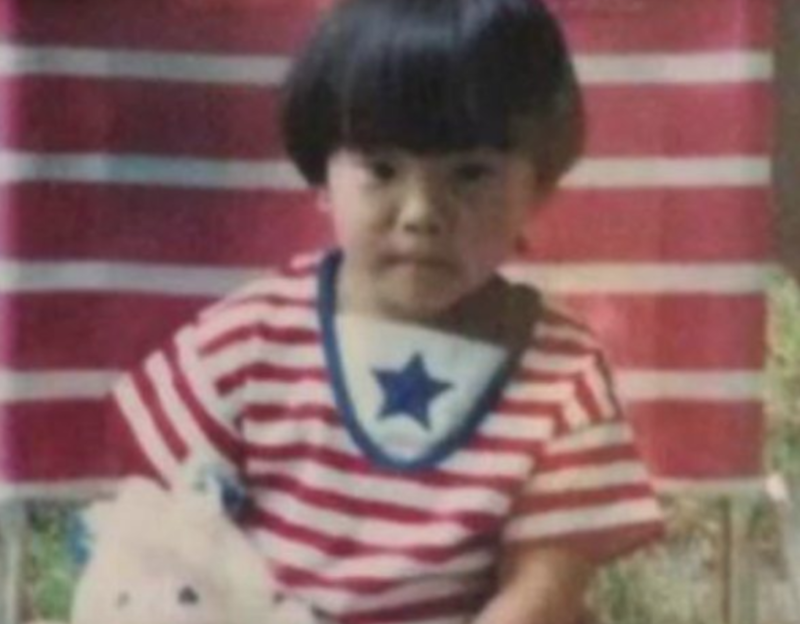 Her adoption records said she was born in South Korea to a single mother and had no siblings. There were also no pictures or the name of her birth mother listed. 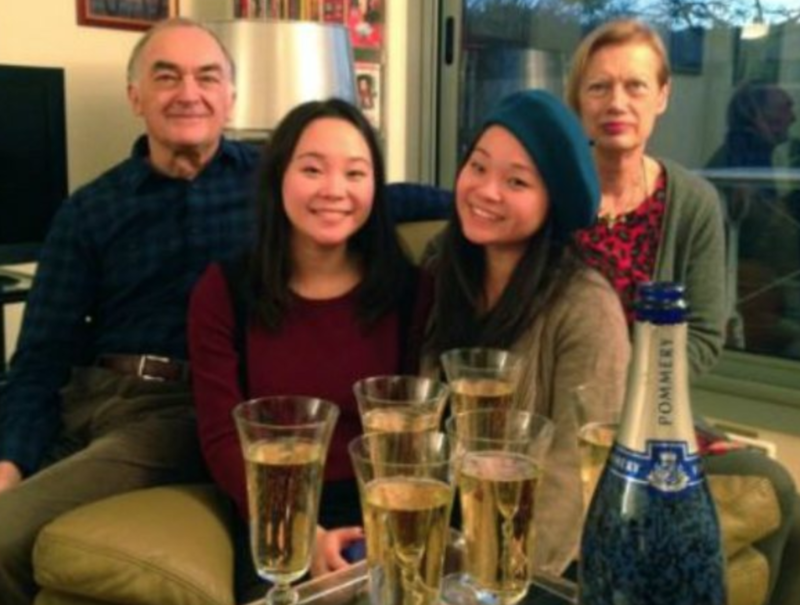 Bordier’s parents, Jacques and Patricia, took home baby Anais from a foster care center in Seoul when she was a mere three months old. 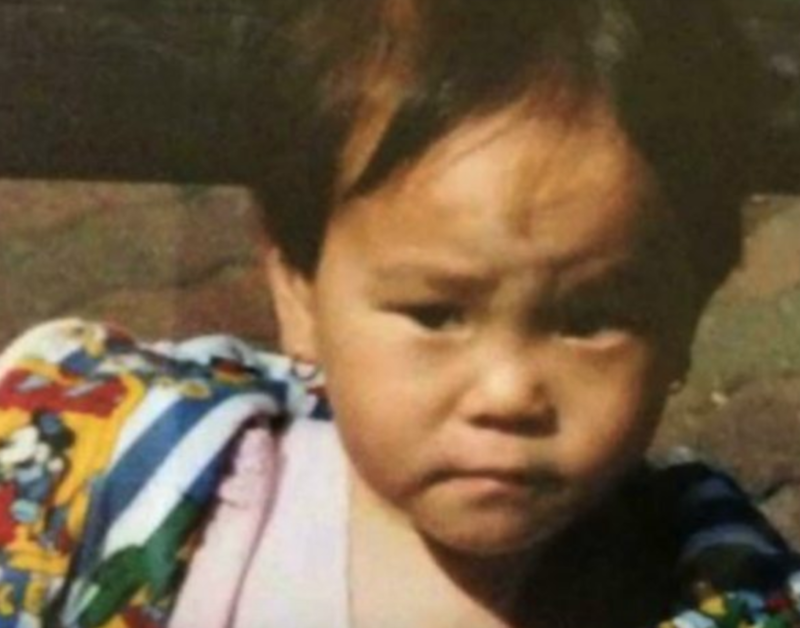 “You’re the child we always wanted,” Anais recalled of her loving parents telling her. Despite her happy upbringing, she remembered that it was difficult when other children would ask why she didn’t look like her parents. 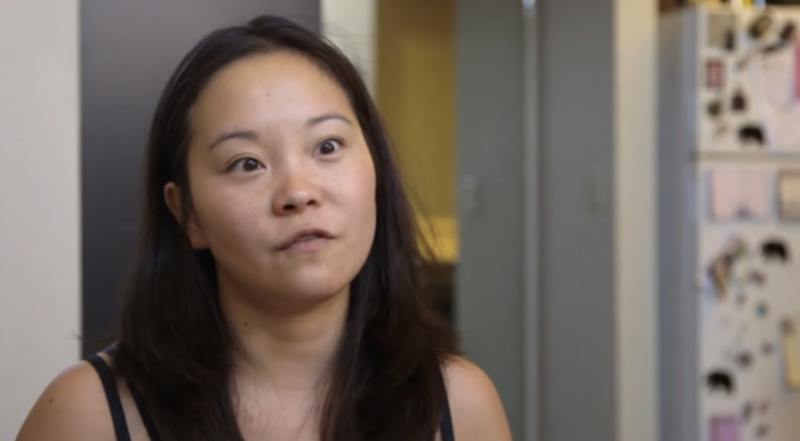 It was no secret that she was adopted, but still it stung. Still she could never have guessed, though, what she’d soon find out. Over in Los Angeles, Samantha Futerman initially thought a stalker was using her own picture to try to contact her. “When Anais’s message appeared, it was such a mixture of emotions. I first thought, ‘Oh man, some weird person has got hold of a photo of me.’” “She looks so much like me, is this really happening?” she recalled thinking. “I was strangely calm, but really excited. I was more elated than scared,” she explained of the episode. Things made even more sense when she read Anais’ message. she watched the video over and over again, looking for differences, but, she couldn’t find any, how were they identical? Except for her clothes and her accent. Her name wasn’t on the video, so she had no idea how to contact her. 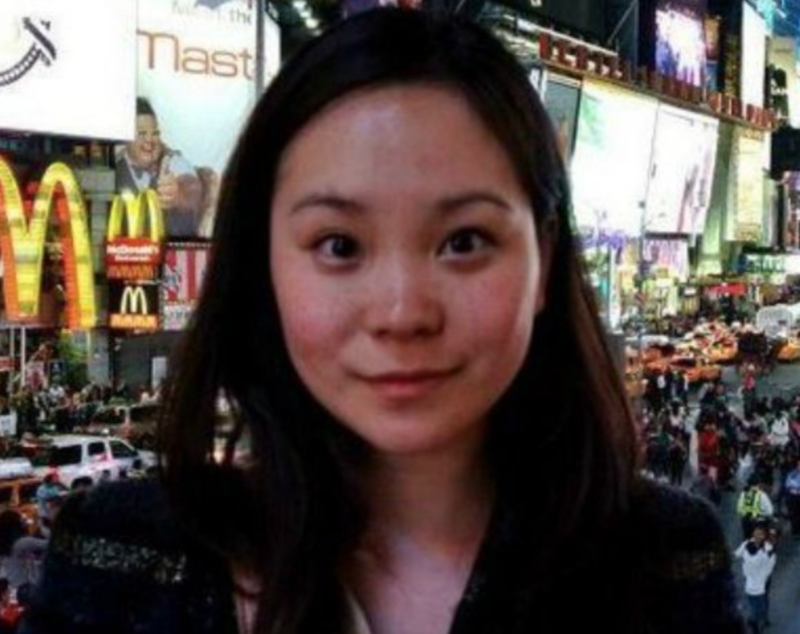 Samantha Futerman had also been adopted from South Korea and grew up halfway across the world with her family in New Jersey. 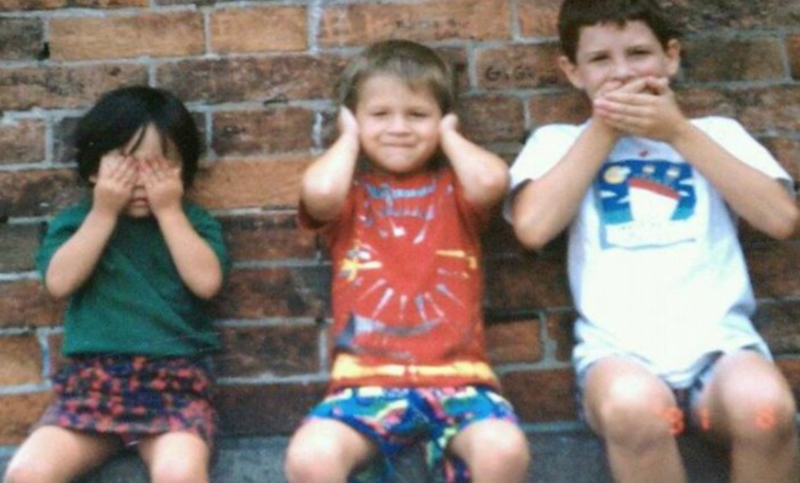 She didn’t suffer as much from loneliness as she had two brothers, Matt and Andrew. She studied in New York and Boston before moving to Los Angeles to pursue acting. When she first approached her parents, Judd and Jackie Futerman, about the message she had received from Anais in London they were initially cautious. But when Samantha showed them the baby photos Anais had sent, everything changed. Back in London, Anais was shocked when her Facebook inbox notified her of a new message. Samantha had written back! Anais was beyond herself when she opened the message to find that Samantha had sent a picture of her records adoption records, and they noticed something unbelievable. 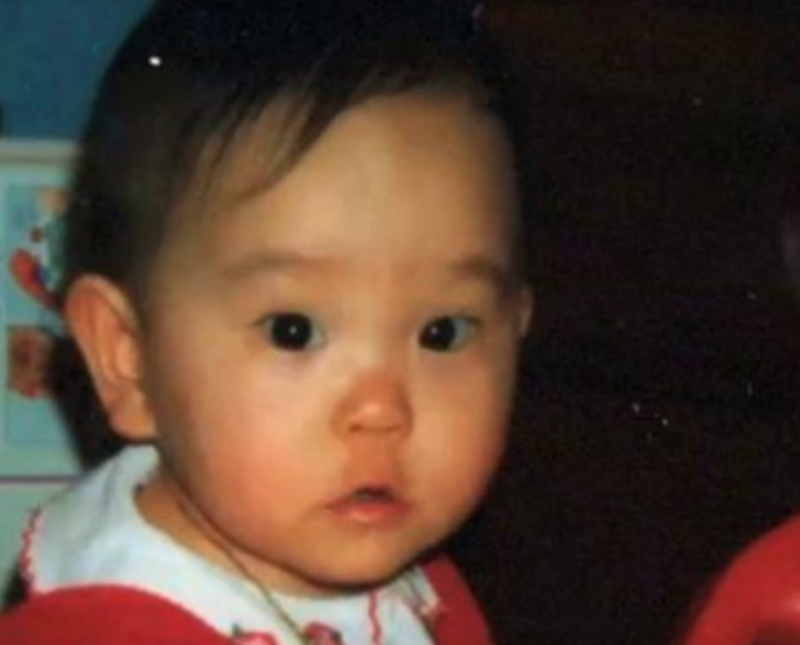 According to Samantha’s records, she and Anais had been born at the same clinic in South Korea. The two could barely believe it. After arranging several Skype conversations, the two agreed to meet. Three months after Samantha Futerman boarded a plane from Los Angeles to London. Accompanies by her two brothers and her parents, Samantha would finally meet face-to-face with Anais on the occasion of her graduation from fashion school. They decided to do a DNA test. Little did they know, the results would turn their lives upside down. All Samantha and Anais could do was stare in amazement. “It was like she was my mirror,” Anais said. She then couldn’t hold back as she reached out to poke Samantha and they both started laughing. They spent the coming days non-stop talking and bonding. That’s when they received a phone call that completely stunned them. As Samantha Futerman and Anais Bordier spoke to Dr. Segal, who had run their DNA tests, they could hardly believe it when she uttered one sentence: “Turn and hug your identical twin,” the doctor told them! Samantha fell off her chair upon hearing the results and the two laughed the same laugh as everyone around them cheered. 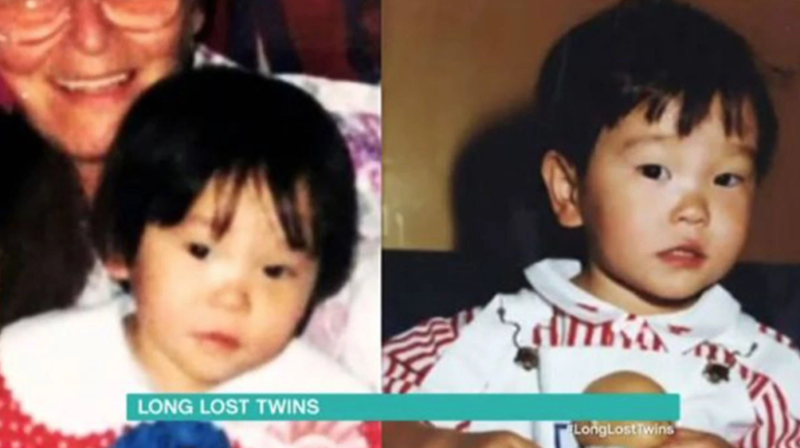 It turned out that the two long-lost twins had been separated at birth before being adopted by families living thousands of miles away from each other. By a miraculous coincidence they had found each other again 25 years later! Still, their amazing journey wasn’t over yet. “It was weird, but I feel like there was a strange calm and comfort as well, and something that I can’t really explain,” Samantha explained. 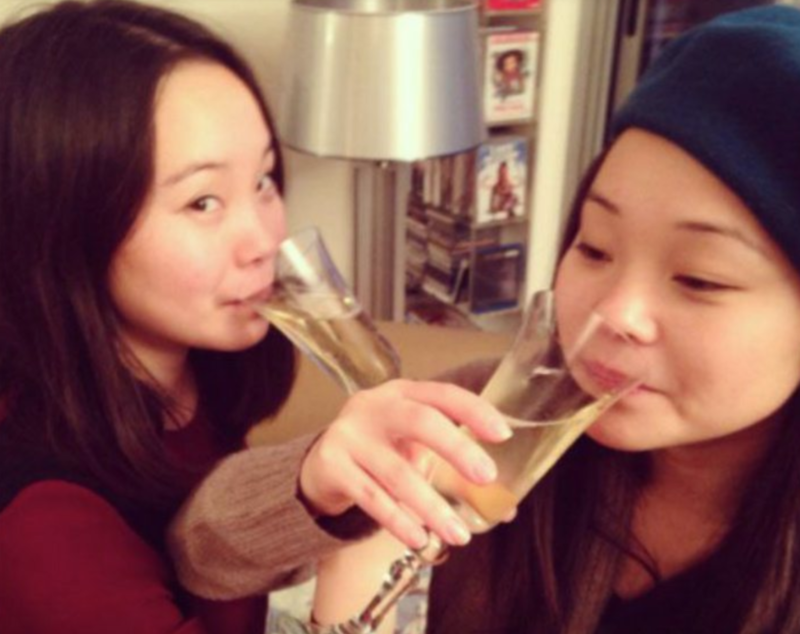 The more time the reunited twins spent together, the more their similarities became clear. They both discovered they had been something of tomboys when they were little. Apart from their identical appearance, the twin sisters also shared an aversion to cooked carrots, often show up with the same nail polish color (without planning) and they shared a similar sense of humor and ability to completely understand one another. Their story was truly astounding but it was still far from over. “I immediately thought she was cool because she made a Lindsay Lohan reference from The Parent Trap,” Futerman said of finding her long-lost twin. “I thought it was cool that we could be twins.” For her part, Anais said that during the experience, “I realized I’d never felt happier.” Although the twins hadn’t known one another existed for the first 25 years of their lives, they soon felt like the family never knew they had. The two adoptees couldn’t believe their luck in finding each other, but what about the families who had raised them since they were babies? Neither set of parents who had adopted Samantha Futerman and Anais Bordier had known that their daughter had been separated at birth from her twin, let alone that she had a biological sibling. Both families were undeniable shocked, but they both had a tear-jerking reaction upon learning the long-unknown truth. Anais’ father cried when he met Samantha and her mother acknowledged there was no doubt they were twins. Meanwhile, the Futermans said they would have adopted both girls if they’d know. “Our (adoptive) families treat each other like family. Our families are super close.” With the support of their families, the twins prepared for a new leg of their dramatic journey to uncover some lingering questions. A few months after their initial meeting, the twins reunited again this time in L.A. 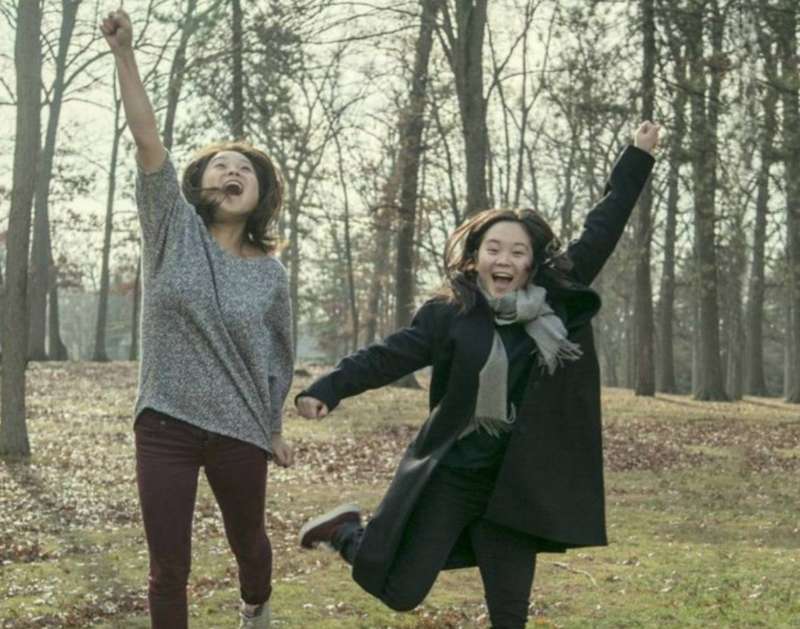 Shortly after that, they traveled to South Korea to share their reunion story and meet more people like them at a conference by the International Korean Adoptee Associations. While in South Korea, the twins explored their roots. Seeking some unresolved answers, Samantha Futerman tried to contact the twins’ birth mother. They had little information to go on, but they didn’t really get the reaction that they’d hoped for. Although both Samantha Futerman and Anais Bordier were listed as “single birth” babies, there was a woman’s name linked to their adoption papers. 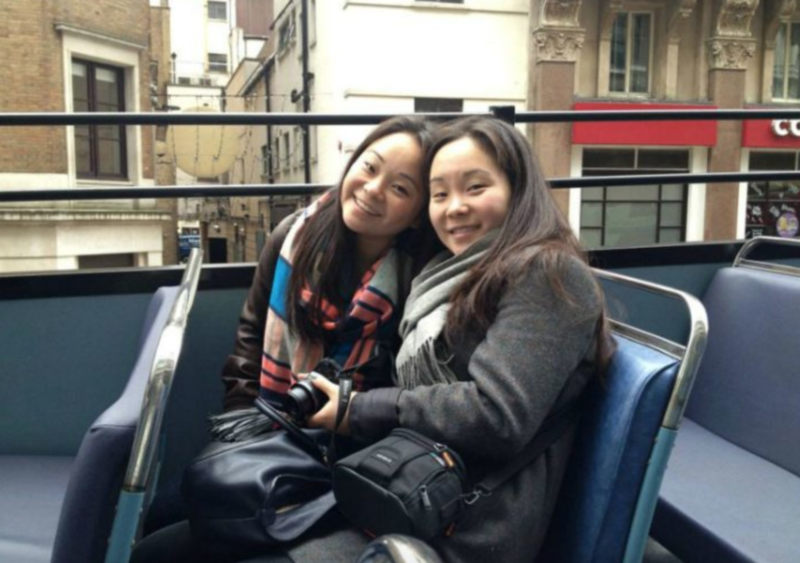 Samantha contacted the woman, but she “she wasn’t as warm as we’d hoped.” Incredibly, the long-lost twin sisters weren’t deterred as they were just happy to have found each other. 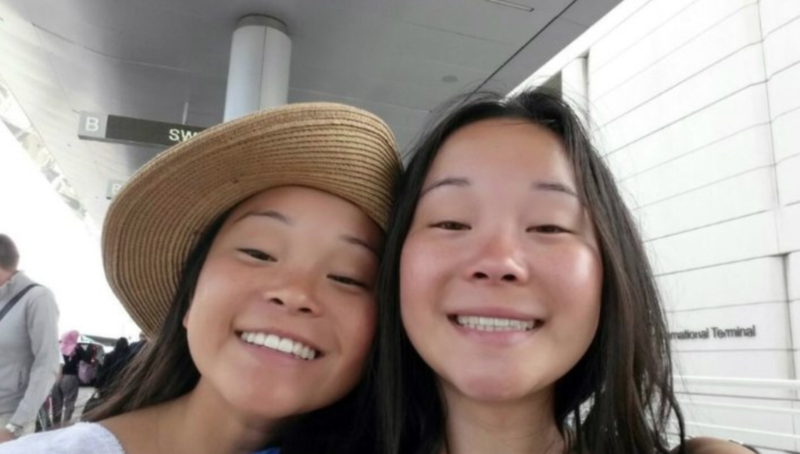 “We don’t know if she needs time, or it could be that she doesn’t want to talk to us,” Samantha said of their possible biological mother “We respect whatever her choice, her feelings, and her decisions are.” The reunited twins ended up writing a message to the woman, thanking her for giving them life. But their remarkable story of love doesn’t end there. 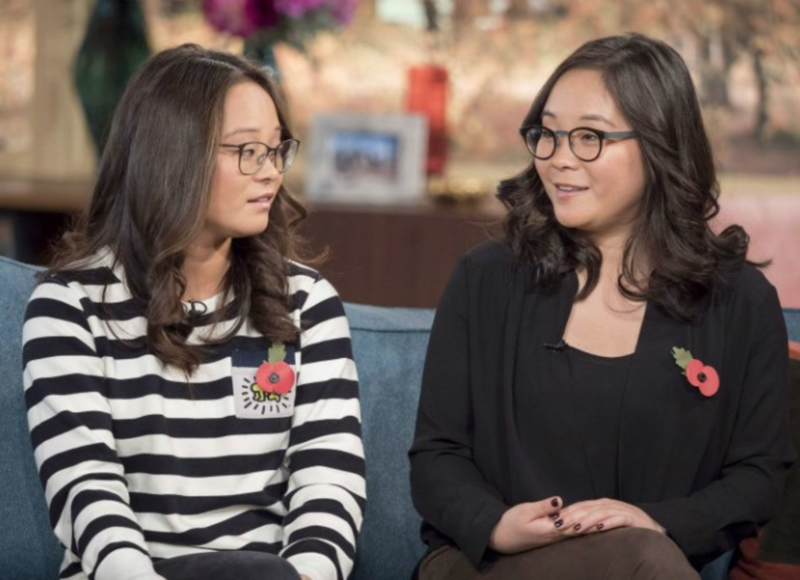 Although the twins still couldn’t find any answers as to why they had been separated at birth, they knew that they wanted to share their incredible story. Luckily, they had been documenting everything about their amazing story. 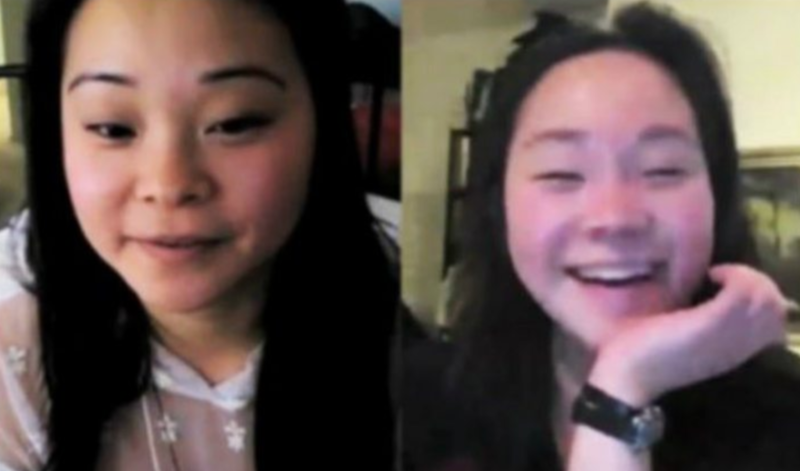 The twins had captured images and filmed the entire process as it unfolded from their first Skype conversations to their emotional face-to-face encounter and their touching meetings and trips together in the months to come. What they would do with all that footage would turn out to be very impressive. 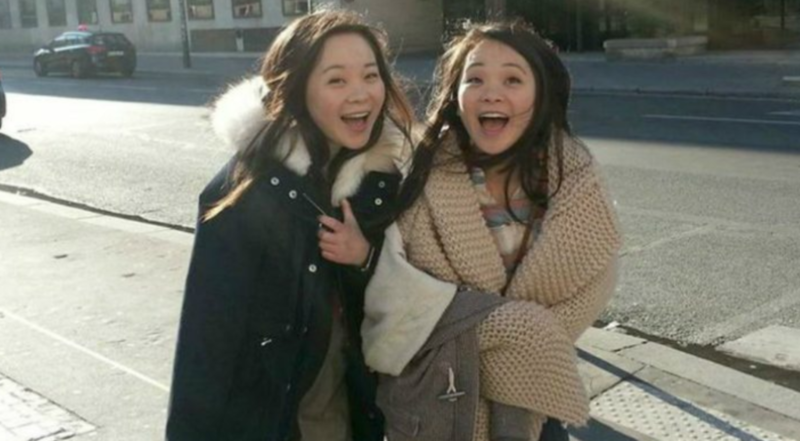 The unlikely story of the identical twins who were separated at birth only to reunite later by means of the Internet made headlines around the world. From the U.S. to Europe and Korea, the girls were interviewed and marveled over. Since Samantha worked in the film industry, she had suggested from early on that they make a documentary film about her and Anais. 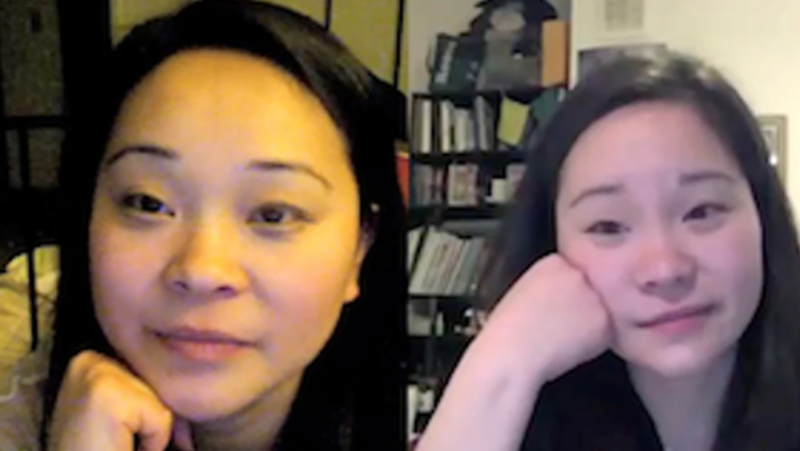 Their real-journey was the stuff Hollywood movies are made of, so it was only fitting that the used their footage to make a full-length documentary called Twinsters. Little did they know how big of an impact the documentary would have. The emotion-ridden 90-minute documentary Twinsters was released on March 15, 2015 and was featured on Netflix. 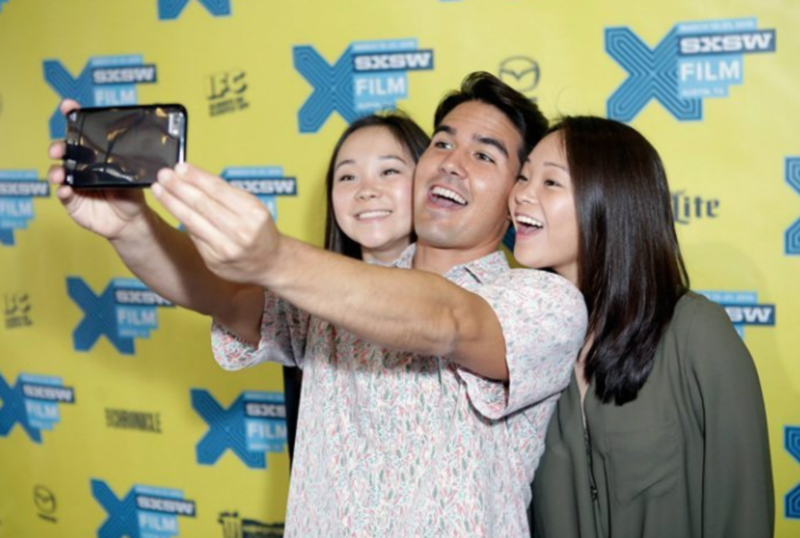 The film first premiered at the South by Southwest Festival, where it garnered a positive response and even received an award for its editing. 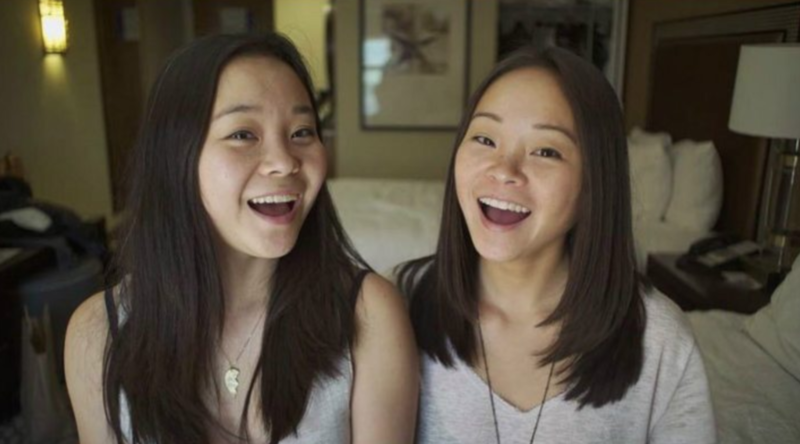 Twinsters was also featured at the Los Angeles Pacific Film Festival, where it again received praise and won recognition at the event’s best documentary. In light of the favorable feedback that the twins received for their documentary, they continued to share their amazing story in other incredible ways. It’s amazing to think that with one click of a button, the lives of these two changed forever. 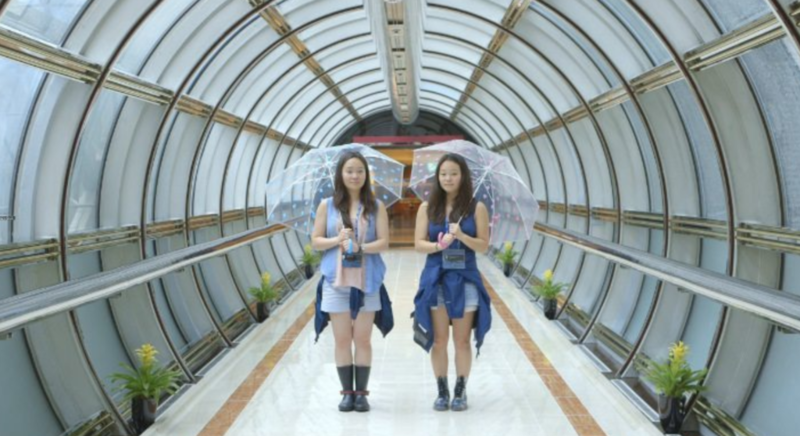 Following the great response that Twinsters received, the identical twin sisters hoped to take their documentary international and release it in Korea. The success of the movie led the twins to combined their creative talents again and write a book about their experience called Separated @ Birth: A True Love Story of Twin Sisters Reunited. Little did they know, their growing visibility would soon catch the eye of Will Ferrell and friends. But how? “I would like to know why we were separated, but we still have no idea. Sam had tried to contact our birth mother before she knew about me, but the woman named on her adoption papers said Sam had the wrong person. I’m not worried about that, as I was never anxious to find my birth mother, and now I have Sam anyway.” Said Anais. In 2016, ABC bought the rights to a comedy series that Will Ferrell, Adam McKay and their fellow creators behind Funny or Die had based on the Twinsters documentary. 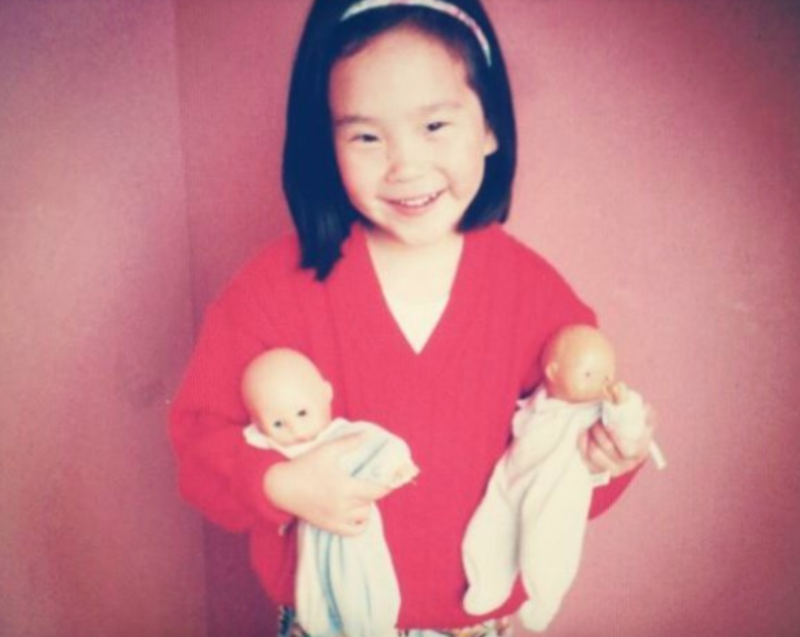 Despite the increased focus on them, the twins simply wanted to create more awareness for adoptees and their families. 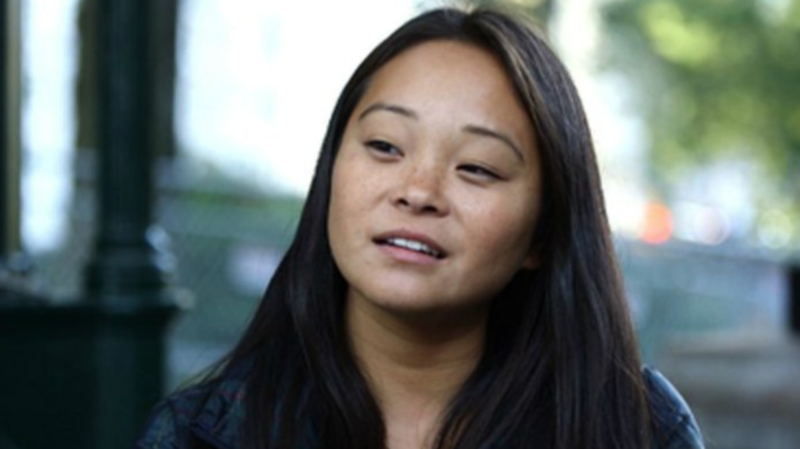 Samantha has even gone on to team up with Glee actress Jenna Ushkowitz to co-found an adoption advocacy group. “It feels good to know we’re working for a greater purpose.” Still, it’s the future that has the most in store for the twins.